The major process in aquaponics is aeration. If the water is properly aerated, then your fish will be happy and your plants will grow normally. On the other hand, if the water is not properly oxygenized, then there are very few chances that your farm will survive for more than a couple of days.The reasons why aeration is so important are quite simple and easy to understand for everybody. First of all, the dissolved oxygen is necessary for the fish to breathe. Even though the fish live under water they still need to breathe and just like in case of other animals, they need oxygen to survive. When they lack oxygen they die, thus the balance from your aquaponic system is lost and in a matter of days your plants will start to get yellowish and eventually die out. As this was not enough, the fish excrements are decomposed and transformed from toxic ammonia into useful nitrates in the presence of oxygen. Thus, if the water is not properly aerated the fish poop will not be transformed, the plants will have nothing to eat, while the fish will die intoxicated with ammonia. This is not a very pleasant perspective, isn’t it? This is why you will have to monitor the quality of your water each and every day and have a back-up plan in case the power gets off and the air pumps will no longer be able to function. 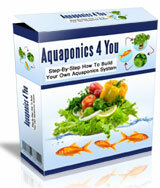 This is the only way through which you can save your aquaponic system and make it work for a long period of time. Your plants and your fish will thank you for that! The happier your fish are, the better your system will work! This is why you need to oxygenize the water on a daily basis and make sure your fish have all the “comfort” they need.